What is the difference between a Smooth Liability Limit and a Sub-limit? The most common liability limit for Pleasure & Business aircraft in today’s aviation insurance market is a liability limit of $1,000,000 per occurrence limiting each passenger to a maximum of just $100,000. 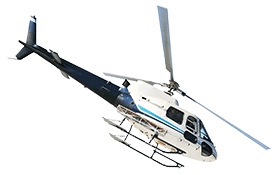 This limit allows for Property Damage claims or Bodily Injury claims to non-passengers (People on the ground or in other aircraft) of up to $1,000,000 limit, however your passengers in your aircraft are limited to just $100,000 per passenger. This is called a “Sub-Limit” policy. This liability limit is less expensive than a ‘Smooth’ limit for the obvious reason that the insurance company’s liability exposure is significantly reduced. A “Smooth” Liability limit is $1,000,000 Combined Single Limit ‘CSL’ per occurrence including passengers. This limit allows for Property Damage claims or Bodily Injury claims to Passengers or Non-Passengers of up to $1,000,000. The ‘Smooth’ limit does not limit your passenger liability to any lower sub-limit. This option is more expensive than the sub-limited liability option, however, is greater protection and always recommended, if available, for aircraft owners who carry passengers. Why can't I shop around for aviation insurance like I do for car insurance? This is the most common question we hear and you probably won’t like the answer, neither do we! The Aviation Insurance underwriters will only release one quotation to only the first broker that contacts them. THIS FRUSTRATES US JUST AS MUCH AS IT FRUSTRATES YOU ! It is our position that competition is healthy and the broker who can produce the best quotation should be rewarded. However, because of this industry’s Unwritten Rule, any subsequent broker you contact will be left “blocked out” and unable to offer any quotation. The reason for this Unwritten Rule is simple. The aviation insurance industry has less than 10 underwriters (insurance companies) compared to hundreds or thousands of insurance companies in the automobile insurance industry. The underwriters do not want to waste time and money having their staff quoting the same aircraft multiple times to multiple brokers, therefore they only recognize the first broker that contacts them. All subsequent brokers who contact that underwriter will consequently be ‘blocked’ and refused access from offering any quotation from that underwriter. While we understand that this is an inconvenience to you, at any time you can instruct the insurance company to recognize a different broker by signing a Broker of Record letter. By executing this letter, you will be terminating all previous brokers prior involvement. Avion will then be your exclusive broker to further obtain or access all quotations. *Please note that if an underwriter has already released a quotation to the first broker and a Broker of Record letter is signed in the favor of a second broker, the second broker will receive the identical quotation from the underwriter that the first broker received. No better, no worse. 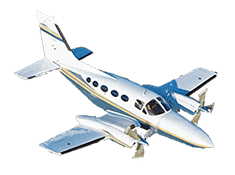 How much should I insure my aircraft for? Generally we recommend insuring your aircraft for what it would cost if you had to replace it with an identical aircraft (Year/Make/Model), not what you paid for it or invested into it. 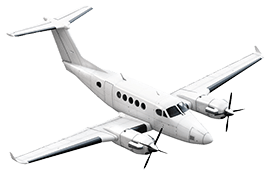 Pick up a Trade-A-Plane and see what similar Year/Make/Model aircraft are being sold for. Over-insuring the aircraft could have an adverse effect as the insurance company will be more likely to repair a severely damaged aircraft. Conversely, under-insuring the aircraft could result in the insurance company electing to ‘total’ the aircraft prematurely when they would have otherwise repaired it. Remember, Hull premium is usually 60-75% of your total policy premium, so raising or lowering the Agreed Hull Value could have a big effect on your policy premium. If I elect a higher deductible will my aircraft insurance policy premium go down? 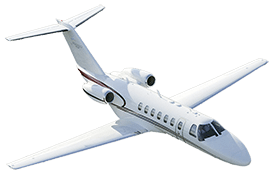 In almost all cases, the aviation insurance underwriters have standard fixed deductibles which cannot be altered for Pleasure & Business aircraft. 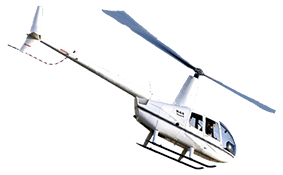 How can I lower my aircraft insurance policy premium? 1. Fly more! Underwriters love to see pilots with 100+ hours/year. The average private pilot flies 60-80 hours/year. In fact, we sometimes see pilots who fly less than 50 hours/year experience their policy rates surcharged due to their lack of pilot proficiency. 2.Obtain an Instrument Rating. Depending on the complexity or performance of your aircraft, this might have a huge effect on your policy rates. In fact, in most cases, the underwriters will require an Instrument Rating on all complex or multi-engine aircraft . 3. Flight Training. Many times pilots who receive Recurrent Flight Training will receive preferred rates. Depending on the aircraft, the acceptable Flight Training will vary, however, in many cases an Instrument Proficiency Checkout (IPC/ICC), or the FAA Wings Program, or any simulator-based Training Facility will count toward a Recurrent Training credit. 4.Lower your coverages. While this might not be recommended to protect you adequately, lowering your Liability Limit or Agreed Hull Value policy limit can be a very effective way of lowering your policy premium. 5. Hangar your aircraft. Some underwriters do offer a small credit for owners who keep their aircraft in a hangar. 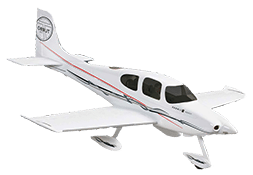 What is an Open Pilot Warranty (OPW)? This is the wording in the “Pilots” section of most aircraft insurance policies which allows pilots who exceed certain minimum qualifications to fly the aircraft on an occasional basis without formally being a Named Pilot on the policy. Only pilots who fly an aircraft occassionally should fly under the Open Pilot Warranty, all others should be Named Pilots. All owners or financial partners in the aircraft must be Named Pilots and should not fly under the Open Pilot Warranty. What are the most common reasons for Aircraft Claims to be denied? #1. Unapproved pilot flying the aircraft. The pilot operating the aircraft at the time of the claim was not an approved pilot on the policy. Most aircraft owners assume, for example, that an airline pilot or CFI is approved to fly their aircraft under the Open Pilot Warranty because they have thousands of hours, however, most Open Pilot Warranties have a 10 or 25-Hour in the Make & Model requirement that many pilots do not meet. #2. Mechanical Breakdown. (aka Wear & Tear) is excluded under all Property insurance policies, however, any subsequent loss that might occur would be covered. For example, if a tire failed on landing which resulted in the aircraft going off of the runway, the tire would not be covered but the subsequent aircraft damage would be. #3. Territory. The approved territory for each aircraft insurance policy differs. How sure are you that your next weekend trip to the Bahamas or Jamaica is covered as an Approved Territory on your policy? #4. Misrepresentation. If aircraft coverage is written based on the pilot having an Instrument Rating or a current BFR and Medical and after an otherwise covered claim, it is discovered that the pilot did not, in fact, have an IFR or current BFR or Medical certificate, then coverage will be denied. Also a common mistake we are seeing lately is the failure of all pilots to successfully complete required Annual Recurrent Training specific to the insured aircraft. #5. Unapproved Aircraft Usage. Each insurance policy’s definition of Pleasure & Business differs. Have you ever received financial reimbursement from a friend for using your aircraft? Did they reimburse you for Direct Operating Expenses or another amount? If you received more than your policy allows under the Pleasure & Business definition, you might have voided your coverage. Also, did you know that only NAMED Pilots on your policy can receive Dual Flight Instruction in your aircraft? In many policies, pilots flying under the Open Pilot Warranty are prohibited from receiving Dual Flight Instruction, as it is construed as a “Flight School” usage.